Uh oh – you appear to be slightly lost. so why not stop by and have a look around? You’ll think 1-click surveys are too simple. Until you see the results. This is an Email Thermometer. Ask 1 question with up to 4 possible responses. Upload your contact data and send a Blast or trigger sending via our API. This is an Embedded Thermometer. 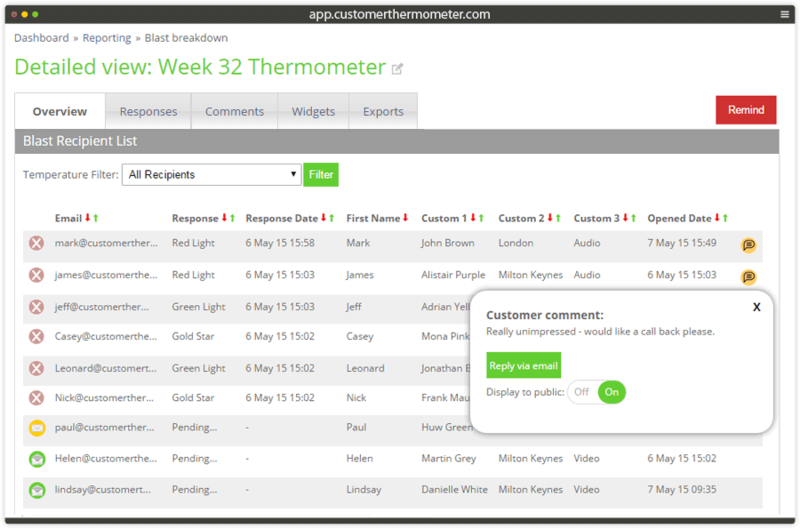 Connect your feedback buttons to your favorite helpdesk / CRM application. Use your 3rd party to manage contact data and send. Who has time to answer a customer satisfaction survey? Don’t settle for anonymous feedback with <5% response rates. Customer Thermometer is proven to reduce customer churn. Everyone makes mistakes. It’s how you fix them that matters. When a feedback button is clicked – you will know exactly who’s clicked it. Now, you have the power to follow up quickly if there’s a problem and make things right. The traditional annual customer satisfaction survey with 20 questions is no longer valid in today’s fast paced world. 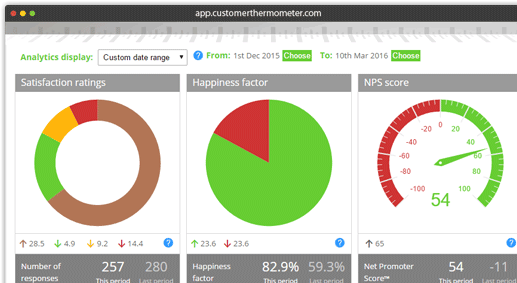 Build your processes around Customer Thermometer and never lose another customer. Most customers are very happy to provide feedback. How you ask for that feedback that determines how much you’ll get. When your recipient has clicked, they can leave a comment on your branded landing page if you want. Takes seconds to answer. Can be answered on any device. No wonder our response rates are ripping up industry averages. Want to know more about your customers?